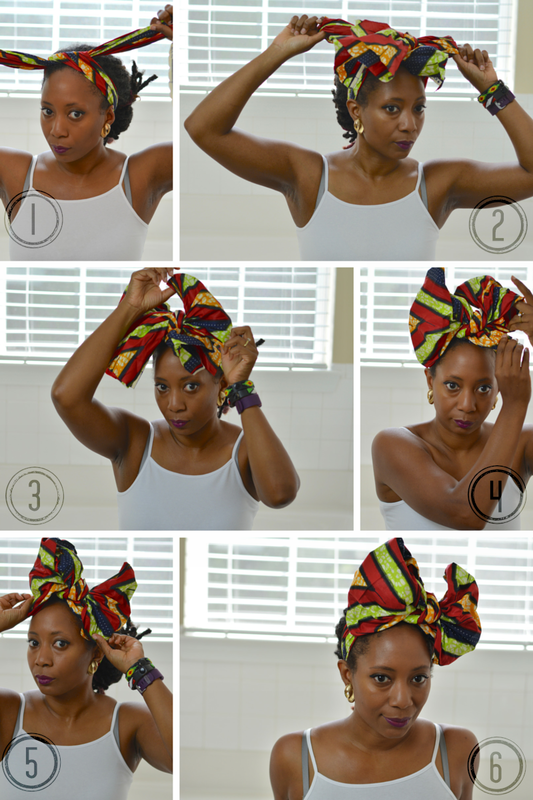 Using a leftover piece from my hot off the sewing machine ankara print shorts, I'm demonstrating how to tie a big bow head wrap. I know flower crowns are trending this summer but I'm a big bow girl myself. African print bow wraps have been tremendously helpful. The Georgia heat and daily workouts have totally zapped all of the life from my locs. 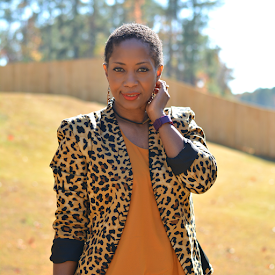 The only thing you need for this tutorial is a long rectangular scarf or a piece of fabric roughly measuring 72"x19". I prefer using fabric that has medium weight to it. 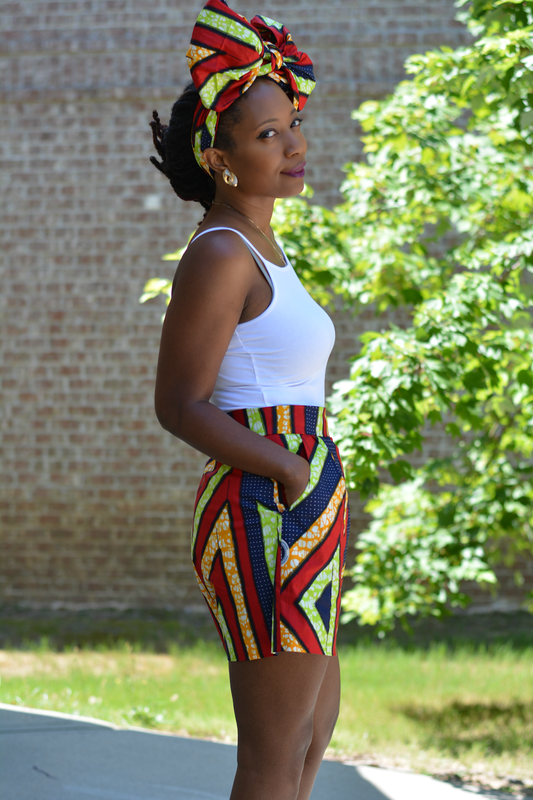 My african wax print fabrics have a nice stiffness that helps keep the bow in place. Instructions: Step 1: Tie scarf around hairline and knot in front. Step 2: Make a bow as if you're tying a shoelace. Step 3: Fan the "bunny ears" out wide. Step 4: Tuck the tails inside of the "ears" and fan the ears some more. Step 5: Adjust until it sits just the way you like it. Step 6: Marvel at the big "bowdacious" creation and go. The shorts are my latest sewing creation. I used Simplicity pattern #1371. I love the high waist and pockets! I'm pleased with how the shorts turned out. They're a little big but nothing lunch and dinner can't fix. The pockets are a dream. So big and roomy yet they don't add bulk. I haven't been using sewing patterns lately. I start off all excited but all the cutting and marking is a buzz kill. My attention starts to wane. This time I pushed through. I'm much better at managing one hour or less projects. Making shorts was kind of a long process. By long, I mean an all day project. I'm rusty so I had to stop and brush up on the sewing techniques and lingo several times. Plus there's the business of cooking, cleaning, and looking after V that ate into my sewing time. Next time I'm going the elastic waist, no pattern way. Are you wearing statement hair accessories this summer?